Introducing our NEW INTERNAL MEDICINE RESIDENCY WEBSITE! ANNOUNCING OUR NEW INTERNAL MEDICINE RESIDENCY WEBSITE!! We recently released a brand new website featuring an in-depth look at our Rhode Island Hospital/Miriam Hospital based Residency programs. 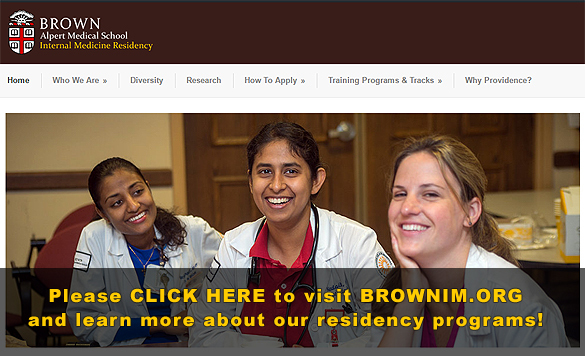 Please visit www.BrownIM.org to learn more about our programs through the eyes of our Residents.